If you are old enough to remember the 80s, you will recall a tall deadly Russian fighter who killed Apollo Creed, and then flew back to Moscow to train in a scientifically advanced gym where he would punch bags and numbers would light up on a transmitter’s screen. This was not sports-based science fiction we saw, but rather the realities of load cells. Boxers train with these force and weight measuring devices all the time. Just ask Mike Tyson, but don’t lend him an ear! Load cells are used to track and monitor each of these elements, though the latter is the most frequently tracked. The most commonly used group of load cells in boxing training are single point load cells. The single point design eliminates the need for multiple cells and therefore reduces costs while keeping things simplified. They are used to track the fighter’s progress in rate of punches thrown per minute, overall endurance over time, and the force of the punches thrown. By integrating a load cell onto the striking pad or the punching bag, this training data can be tracked and analyzed in order to polish the fighter’s training program for better results in the ring. These load cells are low profile, extremely durable, and make for the perfect little trainers to help fine-tune any fighter. The article covers a number of other combinations too, and when following these with the use of load cells implemented into strike pads and punching bags, any fighter will soon reach the top of their game. Just look at the Russian and arch nemesis of Rocky Balboa; if you use load cells to measure your progress, your training program will advance to the next level. 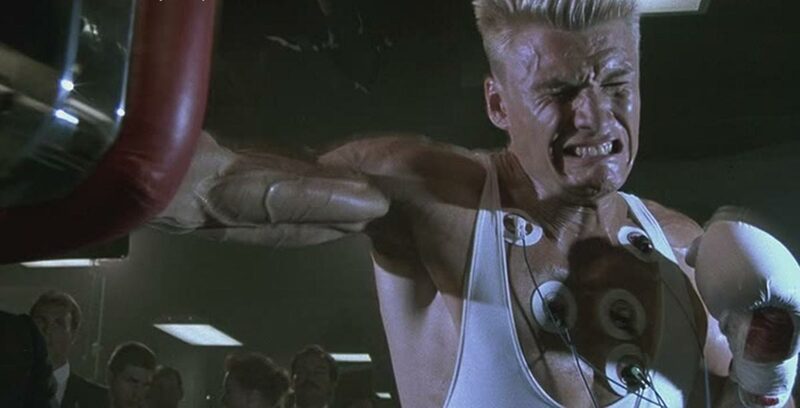 Don’t do back squats by lifting old wagons in Siberia, take it from Ivan Drago that load cells are the kings of boxing training and conditioning. Oh, and Rocky won that fight because the screenplay was botched.